As October draws to a close and we can safely say that the nights are most definitely drawing in, thoughts inevitably turn to Christmas – the one shining (very shiny!) beacon of holiday mirth in what is often a wet and somewhat grey autumn/winter period. It’s now two months until December 25th, and such is the spirit, shops and high streets are already preparing with lights and themed displays. However we all know that there is more to Christmas than shopping. It’s a time for treats and spending time with loved ones – and makes a great time for a little mini-break. 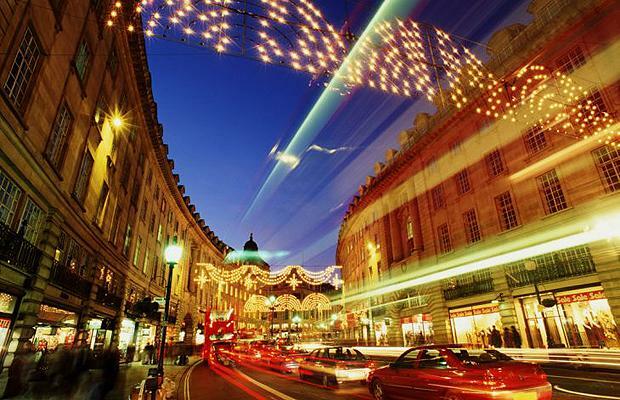 Today we’re taking a look at options for a stay in the capital as a mid-winter treat; what good London hotels deals can you find through LondonTown.com; what ice rinks and Christmas fayres are opening? What shows and exhibitions might be fun to escape the cold? Traditionally the museums of SW7 – from the V&A to the Science Museum – are packed full of eager children and families running the halls and admiring the exhibitions and artefacts. But from November 2nd onwards, there’s a far more festive motivation to visit South Kensington – the re-opening of London’s favorite ice rink outside the Natural History Museum. If you are visiting make sure to book ahead as it can get extremely busy, especially on weekends; and an earlier slot (in November, or mid-week) is often your best bet. There’s also the rink in the beautiful setting of Somerset House, on the Strand. It’s also a lovely place to have a stroll after dark – entry into the park is free, and if you aren’t taking any of the rides, you can easily breeze through and enjoy the scenery, warming up next to a fire when necessary. It’s also a great social scene to meet countless others who are out and about enjoying everything the festive season has to offer. Autumn and winter are traditionally very busy times for galleries and theatres as cold punters flock in, especially on weekends and holidays. So expect lots of attention to be paid to new shows like Hollywood Costume at the V&A and more fashion-based frolics at Somerset House’s sideways glance at Valentino: Master of Couture. Alongside that we’ve got new musicals opening – such as Cabaret, starring Will Young as the mischievously dark Emcee, opened this week. Alternatively, head to the National Theatre’s Lyttleton stage for 1927 theatre company’s much-loved The Animals and Children Took to the Streets, an animated theatre spectacular which has been running at Christmas for three years now. Charming yet dark! This is just a taste of the treats waiting for those who choose to spend some time in London over Christmas.